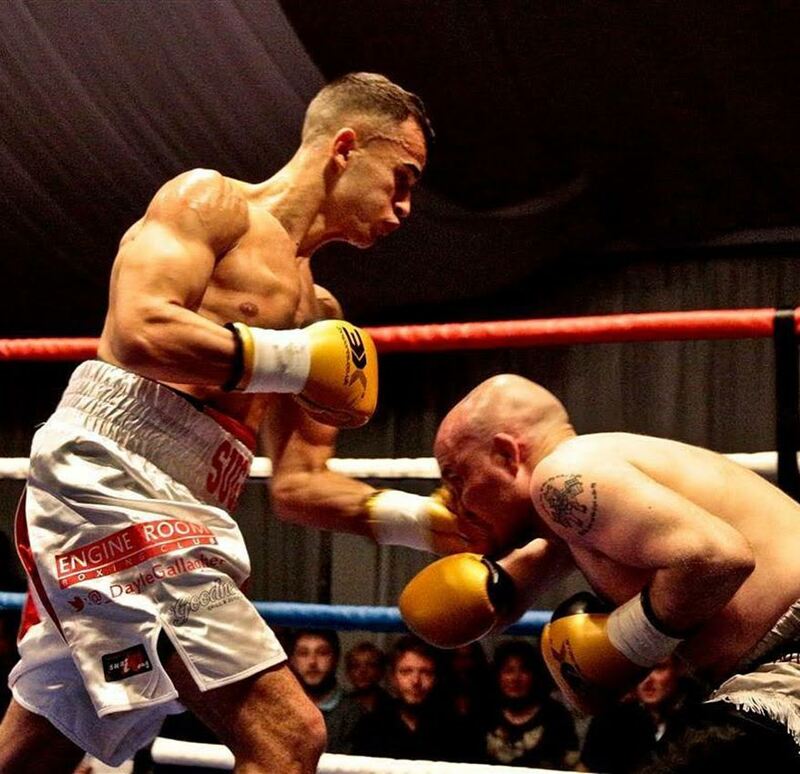 Unusually instead of being the final contest of the evening, Liverpool’s unbeaten Dayle Gallagher clash with the Czech Republic’s Daniel Bazo for the Professional Boxing Council (PBC) International Silver Welterweight title, was the opening pro bout. Round one see both lads taking a mature and professional approach to the proceedings, tentatively testing the other out, don’t get me wrong when I say testing I don’t mean tippy-tappy stuff, but them both taking their time and picking their shots. More of the same in the third, and to a degree the fourth, however Gallagher’s shots were carrying more power than in the earlier rounds, Bazo definitely is no walk over and the Czech lad countered in impressive manner throughout. After eight very, very close fought rounds referee Christopher Kelly scorecard rightly read 79-77 in favour of Liverpool’s own Dayle Gallagher – after which PBC’s head honcho Russell Jaques presented the beautiful PBC belt. Wow, what can I say these two warriors went to war right from the off, I couldn’t have kept count of the big shots thrown by both protagonists in the first if I wanted to, there were just so many, and even more impressively the amount that landed, from both protagonists. As in the first, Round two was all action with both lads dishing out vicious power shots to body and head throughout – what a round, you just couldn’t take your eyes of the action for a single second.